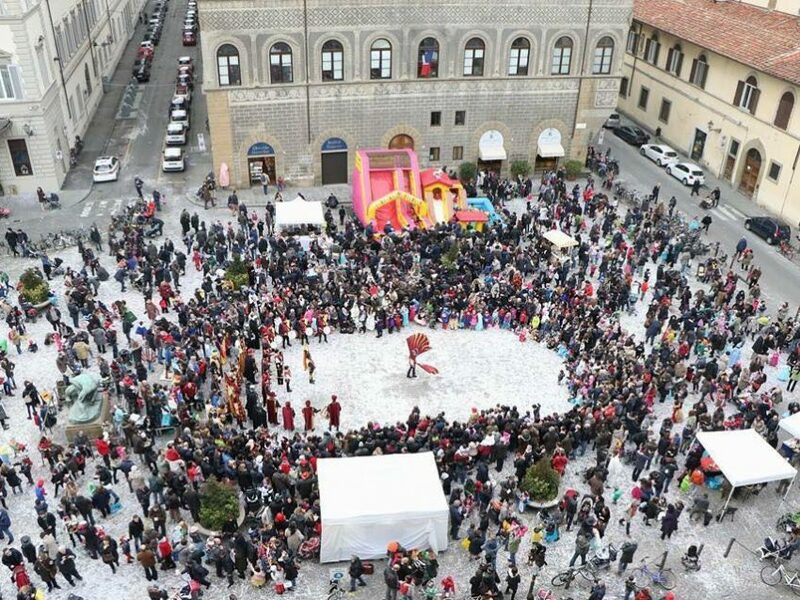 Back in Piazza Ognissanti, Saturday 10th February from 2:00 p.m. to 6:00 p.m., the children’s Carnival in Florence! The afternoon party offers non-stop animation, games and inflatables, cotton candy, brigidini and crisp, electric train and make-up for children. At the end of the evening the mask of Stenterello will be burned!